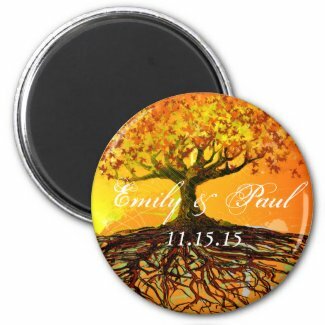 Forest, Woodland, and Rustic Themed Weddings are extremely popular this year. 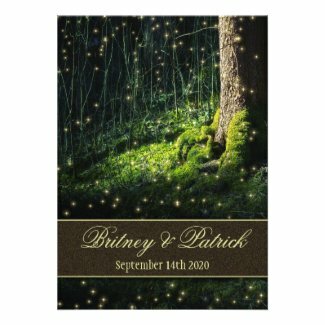 Brides are looking for products to help them create that magical woodland look, with earth tones and eco-friendly invitations, decorations and favors. Here we feature some of the nicest ones we've found. All the invitations featured here are available on high quality 100 lb 100% post-consumer recycled paper. These seed papers contain wildflower seeds that are so easy to grow! Just cover them in a pot of soil, put in a sunny corner, and watch them grow! 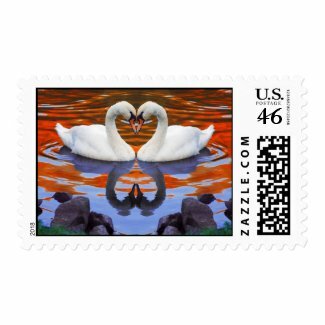 A nice gift for your guests even weeks after the wedding. 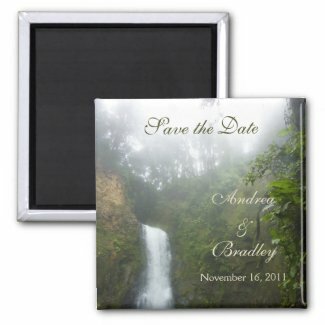 Waterfall Save the Date Magnet - Save the Date Wedding Magnets are a practical gift that are appreciated by everyone. These adorable tins allow you to personalize the cover, and fill them with small candies or other favors. This wedding gown at elegantgowns.com will certainly bring to mind renaissance days and elvish queens. 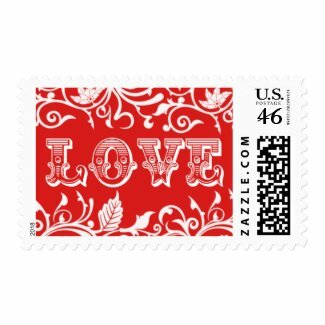 If you are having a Valentine's Day Wedding, it's almost time to choose and mail your invitations! 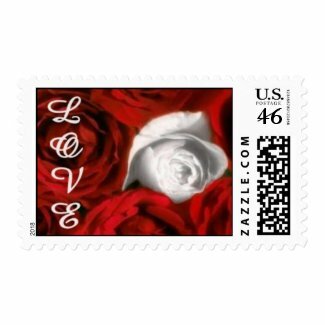 Here are a few invitations and stamps you may like.